Last week, we examined the reasons why the local headend isn’t on the endangered species list. This week, the other end of the spectrum: The set-top box. Not that set-tops are headed for extinction anytime soon. More that the functionality of the digital set-top box shows every sign of being “virtualized” – another term drifting into the cable tech scene from the cloud scene with increasing regularity. Cable engineers and technologists whose work dates back to the early days of “converters” (the original name for what we now call set-tops) are quick to point out that it isn’t as though the industry woke up one day and decided that what televisions needed were big ugly boxes perched somewhere nearby. Then and now, set-tops existed to provide features that weren’t happening elsewhere. Way back at the beginning, they cured a problem called “multi-path” reception. Those early TVs, back in the analog-only days, lacked sufficient shielding around various parts – the tuner, inside, and the antenna terminals, on the back of the TV, to be specific. As a result, when you were watching a local channel, more often than not you’d see a ghosted image next to the intended image. Converters fixed that. Soon after, and as cable channels began to proliferate, converters were needed so that the knob on the television could tune above channel 13. As premium cable channels surfaced, in the mid-1970s, so did the need to secure them. Enter the “set-top descrambler” box. Then came the remote control, to tune channels from the comfort of the couch, instead of (gasp!) getting up and walking over to the TV. Cable offered remotes long before TVs did. And so on, through parental controls, addressability (so that service turn-on and turn-off could happen without rolling a truck), favorite channels, and on-screen program guides. And that’s all before digital. In a set-top sense, virtualization will encapsulate those features and functions into blobs of code, which can be instantiated on other devices – TVs, tablets, screens that want to be TVs, and gateways to other screens. The pessimist’s view: Set-tops are dead, finally, hoorah. The optimist’s: Set-tops are becoming “soft” set-tops, which vastly extends their reach, while reducing the physical clutter near the screen. The truth is usually somewhere in the middle. Well, reader Jack, it’s a fact that today’s cable industry is run largely by people whose tastes lean towards accounting. But that doesn’t answer your question. Here’s some better ammo: The answer is no. Or, at best, not yet. Sure, for national TV channels – which, let’s face it, are most of them – it’s possible to consolidate functions, like receiving, processing, and re-transmitting. But a national video headend won’t get you far for those other niggling obligations, revenue streams, and local franchise requirements: Emergency alerting, dealing with local blackout requirements, inserting local ads, receiving and transcoding local TV channels. Yes, headend consolidation was a top-three priority on engineering to-do lists over the last decade. It happened in lockstep with optical techniques, notably “dense wave division multiplexing,” or DWDM. In engineering-speak, DWDM lengthened optical budgets considerably – to the hundreds of kilometers. That’s plenty enough to ring an area with glass, then consolidate everything within. What was a region served by 30 headends, let’s say, drops to one or two. Ask your boss this: After you consolidate all channels into one facility – which presupposes the existence of a fiber backbone and video content delivery network (CDN) to link out to regions and local systems – then what? Does the local ad sales force in Dayton sell an ad to Joe’s Pizza, which then gets backhauled a thousand miles to a super-headend in Denver, inserted into the stream, and sent back? What about tornados, hurricanes, and other tricks of Mother Nature, which only happen locally? How do those emergency alerts go out? Local channel maps come to mind, too. Ask this of any system-level engineer, working for an MSO that consolidated their guide data activities: What’s it like to make a quick change to the lineup? On the scale of winces, it’s somewhere after a scoff but before actual vomiting. Technically, it’s possible to handle lots of local matters at a national level. In the fullness of time, perhaps local headends do become vestiges of their former selves — but it’s unlikely that they’ll go completely extinct anytime soon. Or, as my old boss Roger used to say: Let the new guys deal with it…. Last week, we looked for the intersection of “cloud” – for it has lost its participle, it’s that popular – and the network. Where does the network end, and the cloud begin? That is the question. These days, a place as important as the headend is the data center. Same ambiance – a chilled room filled with racks of gear – but instead of processors, modulators and combiners, data centers hold servers, servers, and more servers. Some to ingest content, coming in from content delivery networks, or CDNs – big, Internet Protocol backbones moving content as fragments of files, not processed streams of contiguous video packets. Other servers store those video files; still others “transcode” them, to suit the resolution and display needs of the screens at the end of the line – TVs, sure, but also PCs, handhelds, tablets, and the growing landscape of video-capable gadgetry. Still others work as “web service” bridges between traditional back office functions, and the new world of web-based everything. In a “cloud” sense, then, data centers are the place where video content comes in over IP, gets wrapped in DRM (digital rights management), and is sent out again in IP, through the CMTS, to a cable modem, into a Wi-Fi or Ethernet router in the house, to the display device. 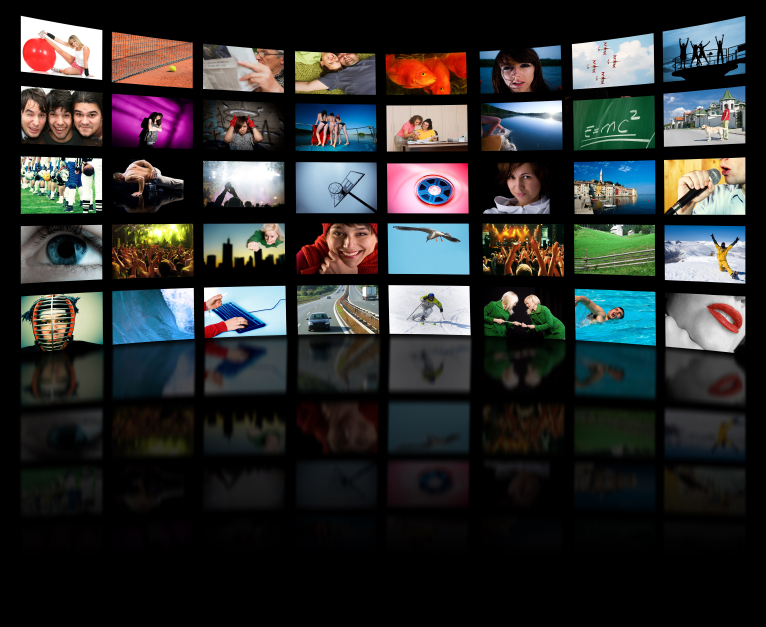 Which brings us to the second video cloud differentiator – the server, vs. the service. In today’s “client-server” parlance, a “client” – a set-top, let’s say – talks to a server (think VOD pump.) Each client knows precisely what data to expect from that server, and if the server hiccups or nods off, communication halts. A “service” model extends traditional client-server activities to a peer-to-peer model, where each client essentially “discovers” the right server for what it needs. The servers themselves, and their databases, might be “virtualized” across multiple data centers. 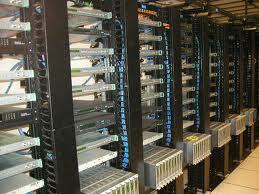 The data each client needs may be assimilated from many different servers. One might take the initial request (“I need video”), while others fulfill it. Where does network meet cloud? In the data center, for starters, using web-service interfaces to the “classic” (seems nicer than “legacy”) gear. One thing does seem certain: Everywhere you look, “cloud” will continue to stretch a hazy cover over everything we used to think we knew about video transmission. In general, “cloud” is a catch-all term meaning services or functions you used to get locally, on a fixed machine at your house or workplace, but that you now get from anywhere, in real-time, and delivered to you over the Internet. In cable, navigating subscription TV from something other than the remote is a good cloud example. Letting consumers use their gadgets (iPads come to mind) to change channels, set DVR recordings, and stream TV, means acknowledging that different screens have different decompression engines, resolutions, and communication passageways than set-tops. So, instead of trying to do everything from the set-top, why not use the cloud – the connection – to bridge the differences? Here’s where I get flummoxed, when it comes to cable and cloud: Where does “the network” end, and “the cloud” begin? Lots of people use the two terms synonymously: Cloud is network; network is cloud. For those of us who grew up in cable knowing “network” as the word that grew up out of “plant” — where “plant” is the connectors, coaxial cable, pole-line hardware, pedestals, fiber, lasers and related headend whatnot needed to move first video, then data and voice signals, from one place to another — the distinction is nebulous.